As part of the Ribble centenary celebrations several local bus operators are celebrating their past history as part of Ribble. 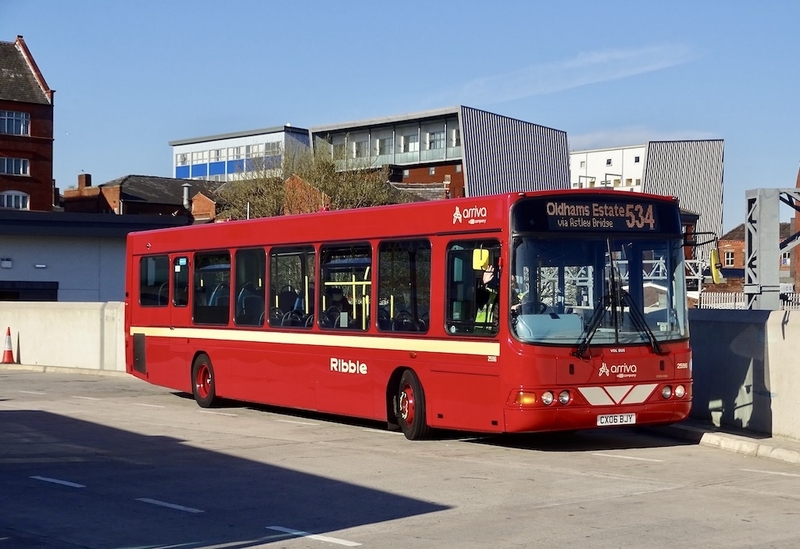 We appreciate this support for our year of events and it is planned that no less than five modern buses will be given Ribble liveries from the past. Watch this space! The first to appear is based at Arriva’s Bolton depot and is fleet number 2596, a Wright bodied VDL saloon. It was photographed at Bolton Interchange.